In the last eight years something has been happening that was not supposed to happen. A world-class star is not supposed to turn almost every month with a monastic will into the marginal neighborhoods of his country - and beyond - without publicity, with no other benefit than to give birth for a few hours to the souls of people to the that they need a lot of light. It is not supposed, and yet that is precisely what Silvio Rodríguez has been doing since 2010 with his tour of the neighborhoods. It has been told many times: the then captain of the police José Alberto Álvarez López approached Silvio to ask him to give a concert in La Corbata, a poor and marginal neighborhood on the outskirts of Havana, and Silvio agreed. The experience of the concert marked him in such a way that he began to glimpse a path, that if he could not solve the economic problems of a place at least he could change the face for a day. The rest is history; eight years and 100 concerts later, the "endless tour", as the musician himself has called it, is one of the artistic and intervention events in the most beautiful vulnerable communities of our country (and a little further if we count the free concerts that they have taken place outside Cuba, in Buenos Aires and Madrid). As the former Spanish consul in Havana Alvaro Kirkpatrick points out - "a yuma in the tour of the neighborhoods", as he defines himself - in these concerts "books are donated to local schools. Poems are recited. Groups or soloists, consecrated or emerging are invited to participate. There is no politics. Although they are among the listeners, as has happened, Maradona or Mujica. Nor economy, because the merchandising it is conspicuous by its absence. At best, some neighbor puts on sale, improvised and informally, a can of beer or soda, at a price very slightly higher than the market. People are not there for that. " There is something messianic in that stubbornness to go one and a hundred times to places where they do not expect you, to carry something that many times they did not even know they wanted, as messianic is also that will capable of dragging half a hundred people with it. We say "tour of Silvio through the neighborhoods" but in reality we are talking about a tour that is possible thanks to a group of people and institutions that involves its accompanying band, staff of Silvio's team and the Ojalá Studios -the sound artists Olimpia Calderón and Enzo Estrada, they carry all of the 100 concerts behind them - RTV Comercial, the support of the Cuban Music Institute, the National Tour Agency and the Carnival Company - which guarantee support staff and essential accessories such as the stage, the rails, portable toilets, power plant and security for these teams-, La Rueda Producciones and representatives of several instances of local and provincial government. Doing any concert involves a logistical deployment that viewers are almost never aware of; Doing an outdoor concert in an area not designed for it is even more complicated, and doing it another 99 times is a real madness. 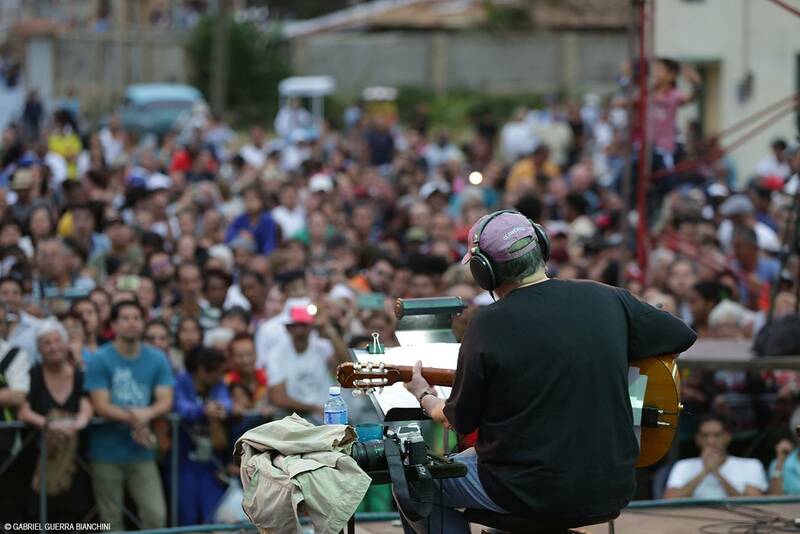 Concert by Silvio Rodríguez on the Tour of the Neighborhoods. 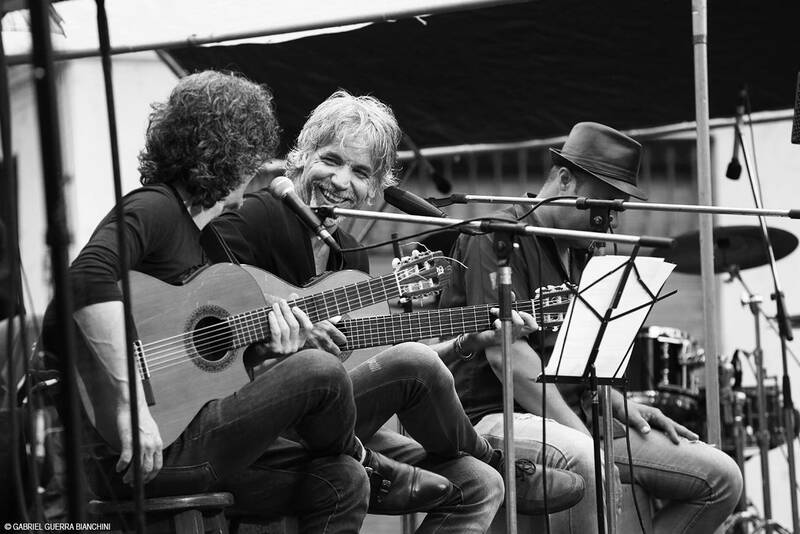 Photo: Gabriel Guerra Bianchini. "It's a choral film," says Amin Blanco, "here if everyone does not help, things do not come out," a phrase that is not necessarily true. 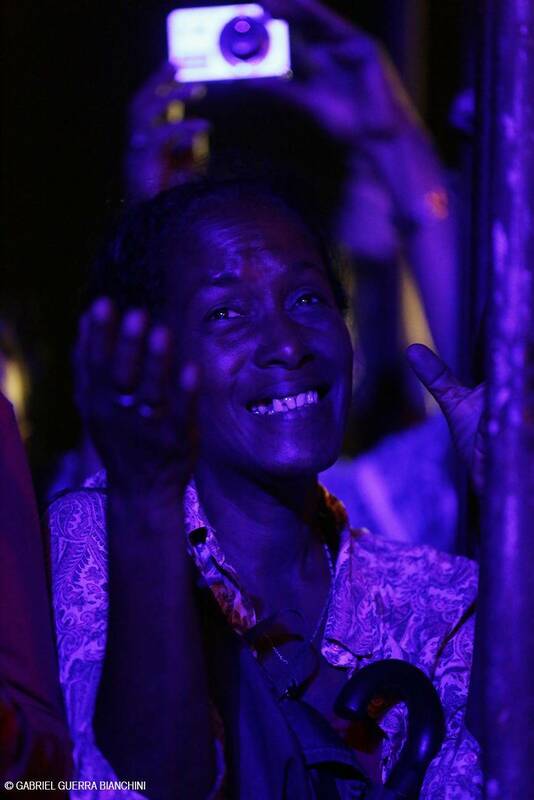 Since concert 41 of 2013 in the neighborhood of Tamarindo, municipality Diez de Octubre, this woman is directly responsible for the work of a production team that must guarantee the conditions for each site to have the concert it deserves (the first years this task was in charge of Ana Lourdes Martínez). 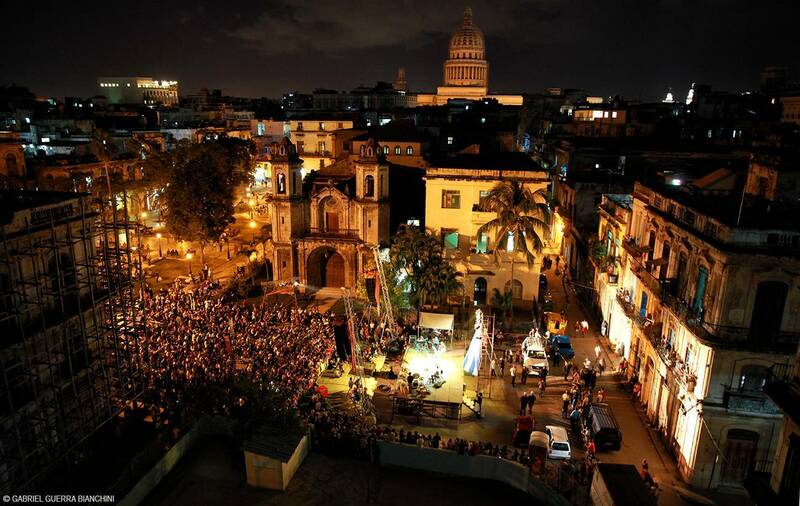 "Before all this," says Amin, "I was a güajira from the center"; the tour has allowed him to understand the real dimension of Havana and to enter a city that most of us do not know or ignore, that which is made up of people and places that the census does not collect, pieces of country on which we exhaust the euphemisms not to mention of simple and deep poverty. In their beginnings they arrived at the neighborhoods by recommendations of the then existing Office of Prevention of the National Revolutionary Police, but at present the destinies are defined by multiple routes - neighbors of the area that request it, places that the own team is finding, recommendations from friends, acquaintances and fans, who even from outside Cuba pass the data of disadvantaged neighborhoods. Apart from perseverance, if something distinguishes the tour is the interest to truly reach the neighborhood, to leave comfort zones and usual places to invade the homeland of people who almost never have the opportunity to go to a theater to watch a show. Often, arriving at these places is to put a cross in blank spaces of maps that do not pick up streets or buildings that despite everything are there, like mirages or invasions of parallel universes. Arriving in the neighborhoods and living them, no matter how brief the weather, is getting to live through their problems: the pit that carries all the life, the trash that nobody collects, the houses that do not have the minimum conditions to be habitable. It is inevitable to get involved in their dramas and try to help with some gesture, no matter how small. Once the neighborhood is defined, Amin with Enzo and Ivón Laws -producer of the tour agency- look for the most appropriate place to set up a stage and install a sound system. From then on, a snowball of coordinations begins with the neighbors, the local government authorities, the institutions involved and the invited artists - a long list that goes from Isaac Delgado, Ana Tijoux and Yoruba Andabo to Carlos Luis de la Tejera, Liuba María Hevia and José María Vitier-, which ends with the disembarkation in the neighborhood, a day before, of the production team. The challenge of riding a few hours of the concert makes each show a challenge to luck, because if a last minute mishap occurs they have very little room to react. In spite of the oiledness of the mechanism, each production involves a different challenge, and with each one they know something else. On the way they have been learning. For example, they need to carry rags to dry the instruments on rainy days. That they can be an instrument but not the umbrellas. Que nylon jars are the best protector in the local market for microphones. "In these concerts books are donated to local schools. Poems are recited. Groups or soloists, consecrated or emerging are invited to participate. There is no politics. Although they are among the listeners, as has happened, Maradona or Mujica. Nor economy, because the merchandising it is absent. " Amin, producer at last, likes to foresee everything. The only thing he can not control is the weather, and even then he has found a formula to tie it in short. At some point on the day of the concert, invariably, she will call the Institute of Meterology to know part of the time, not with the intention of canceling the concert in case of rains, but to know in advance what weather conditions they will face. Because it does not matter if rails are tipped, or light goes out, there are two things that one can take for granted in a concert of Silvio neighborhoods: what will happen, and what will start on time. They know it - and they appreciate it - everyone who has attended. Very rarely it is postponed, and it is never canceled. It happened to them with El Palenque, a neighborhood that is close to the Puente de la Lisa. They arrived at the site and chose a location. The place had everything but the conditions to make a montage, but it was that, knowing that nobody was ever going to get there to give a concert, what motivated them. At that time they were still riding two days in advance, and the first day it rained so much that the cables were flooded and there was no choice but to postpone the concert. That afternoon Silvio went through El Palenque, so they would know that yes, there would be a concert sooner rather than later. The next day, supported by the old ladies of the neighborhood who threw themselves with jugs to remove all the mud that could be, there was a concert. Of course, not all neighborhoods have the same empathy as El Palenque, there are nice neighborhoods and warm neighborhoods. In some they receive them as if they were old friends, and they share the cold water and the little coffee they may have, and in others they are less welcoming, and they look at them with something close to indifference. Not everyone is excited to have a concert by Silvio in their neighborhood, and they can even come to the concert without too much interest and start talking without pain, even out loud, to check that the music played there is not really theirs . But it is part of the trade, and more of this type of actions; the warm reception of the inhabitants of the neighborhood can not be seen as something negative nor can they ask the public to respect the protocols of a concert hall. There Silvio and his people are foreigners, those who come to invade a space that has its rhythms and customs, and we must be respectful with them. When you are doing something for the community, in the community, you can not get to impose the rules because that would only perpetuate the dynamics of discrimination that they are trying to eliminate. Like when they were in La Normal Park, in the municipality of El Cerro. They had La Colmenita as guests, and vendors from the nearby Latin American Stadium saw the reef. There they arrived with their whistles and bugles and made the day selling knick-knacks to the children who roamed the place. Although they were asked to stop selling the whistles, the reactions were variable, and the damage was done; Everywhere there was a little boy with a bugle ready to be heard at any moment. Let's say it was not the concert that was best heard. But beyond the circumstantial reactions, the usual thing is that even in the most arduous places the neighbors end up close to the platform once the concert begins. Live music, of whatever kind, has an ancestral magic that always calls. The anecdotes about touring the neighborhoods are counted in the hundreds. 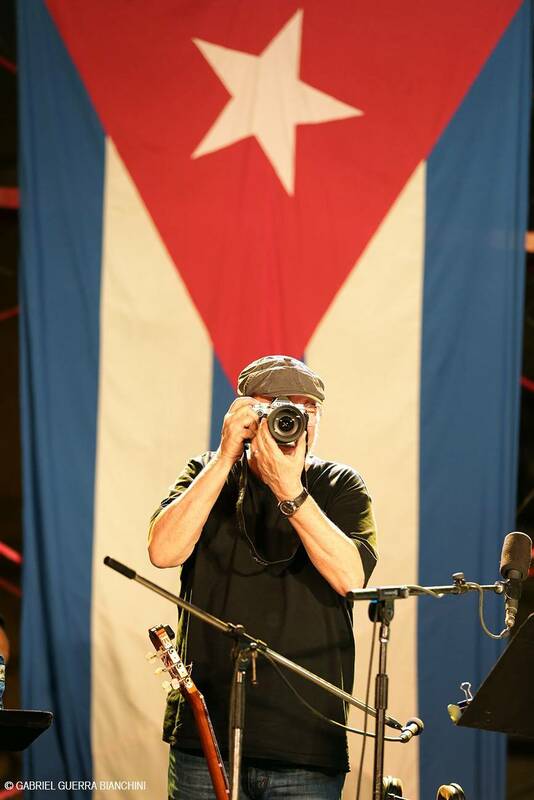 A good part of them are included in the series of reports that Mónica Rivero and Alejandro Ramírez carried out for Cubadebate for years, and in the documentary Neighborhood song, Ramírez himself, one of the best fruits that the tour has given. Amin Blanco remembers one in particular, in Punta Brava, in the municipality of La Lisa. During the whole concert a man passed it shouting insistently "The age, The age! " At a certain moment Silvio could not take it anymore and called him: "Come bale boy, let's sing The age" Everyone was waiting, not knowing what would happen when that man took the stage. A lot of things could have happened, it could have been an unfortunate spectacle, he could have said any barbarity, what nobody expected was the words that came out of his mouth when he reached the microphone: "the only thing I wanted to say was that I was a prisoner, and This man came to sing where I was imprisoned, and the next day I was free, and that will never be forgotten in my life. " There is, he said, a beautiful documentary called Neighborhood song, in which the authors take advantage of the concerts to talk about what really matters, the stories of the neighborhoods and their people; stories of helplessness, of daily challenges of mixed survival and of historically rooted poverty. 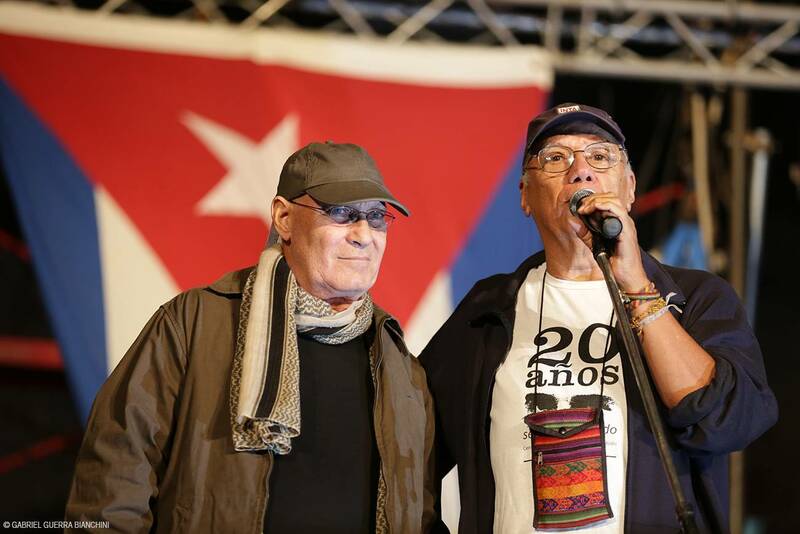 Like very few artistic or scientific documents of recent Cuba, Song… It shows the living conditions of some of the poorest of the poor in a poor country, without victimization, without editorializing. The tour of Silvio is the melody and pretext, and the neighborhoods and their joys and sorrows are the lyrics of the great song that is the documentary. The Pachanga, El Fanguito, Micro X, Miraflores, Lugardita, Jesús María ... making the journey through these neighborhoods is to review the scars of our country, the spaces and lives that exist in spite of apathy and impotence. But, the troubadour tells us, if these people are enlightened every now and then with a little art, the world is a better place the next day. 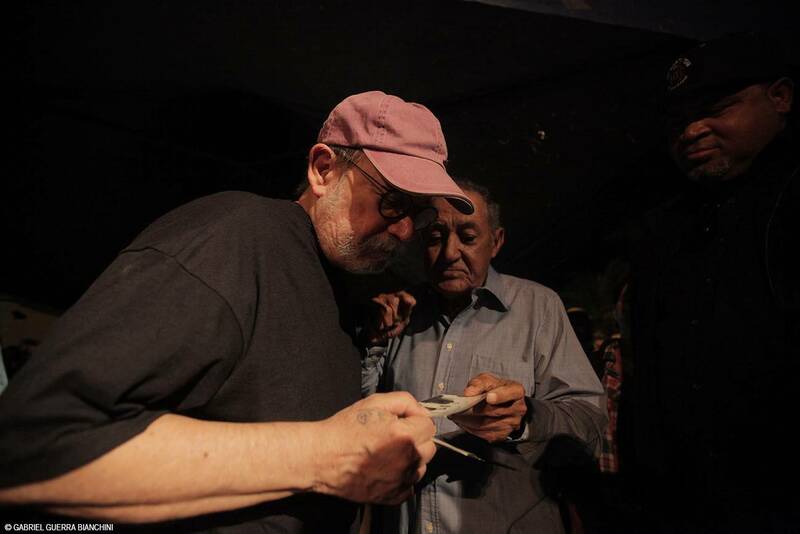 Concert by Silvio Rodríguez in El Fanguito, Tour through the Neighborhoods. Photo: Alejandro Ramírez Anderson. 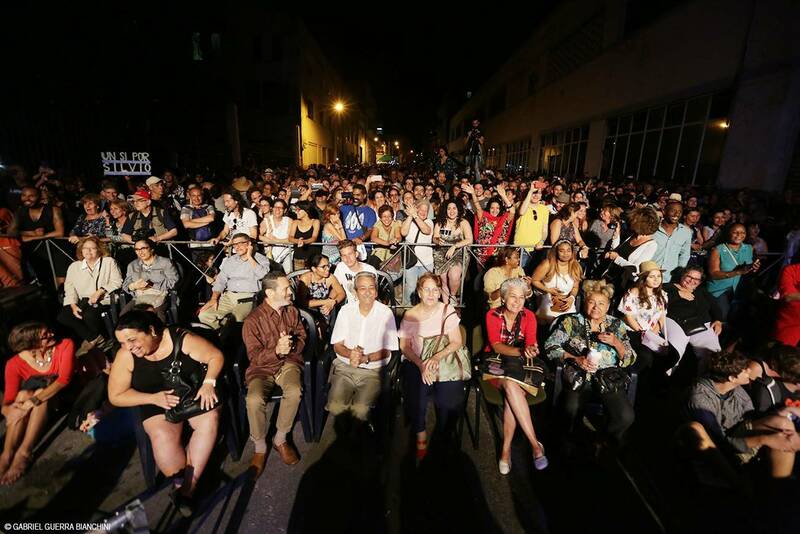 - 100 concerts in nine and a half years, at a rate of almost one concert per month, with all the capital's cities visited, as well as eleven other neighborhoods outside of Havana. - Zero canceled concerts. A few delayed because the weather conditions made it impossible to perform any outdoor activity. - Zero deaths. Just one episode of violence, not directly related to the concert and quickly controlled. In material terms, the damage to the tour has been relatively insignificant. One might think that the fame of marginality of many of these neighborhoods could have had some attempt at theft, but it has become common that just there the "marginal" are self-appointed responsible for the protection of equipment. For Amin, the best thing is always the surprise, not knowing how the neighborhood will react when the concert starts with a very different music to the street hits that sound around the assembly in the previous hours. Most of the time the balance is positive; imagine the Entrevoces Choir conducted by Digna Guerra singing in the middle of Barrio Modelo in Regla, one of the most affected municipalities by the passage of the recent tornado in Havana, seems somewhat surreal, but to see how the inhabitants are trapped by their music belongs to complete to the plane of the wonderful real. On the other hand, approaching these communities is also learning from the cultural initiatives that the inhabitants themselves are already developing, their ability to seek and share beauty by their own means. In these years, there were certain times when Silvio's concerts through the neighborhoods were very popular. The press often advertised them and the fans went en masse from one municipality to another. Today the effervescence has dropped; The Silviophiles continue to participate faithful, but it stopped being a fad. This to Silvio, who is a man of total coherence, does not seem to matter in the least. 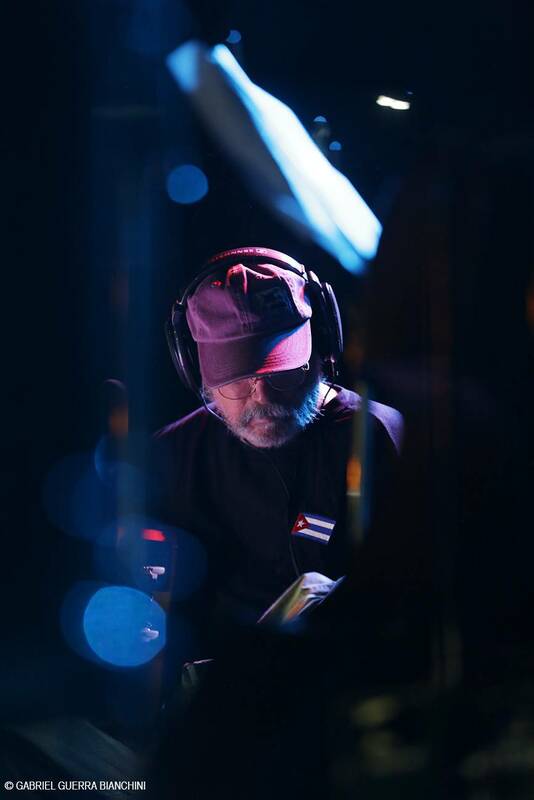 The concerts are still happening, on a regular basis, as hollow allows the career of this artist who has already reached 72 years and remains with a youthful vitality. Occasionally they are trapped by fatigue or boredom; for a creator and his team to do so many times the same thing is not exactly exciting. But there are spells against that; they are encouraged by the enthusiasm of the invited artists, who arrive fresh and excited by the possibility of being part of the tour, the neighborhood and its inhabitants animate them, always different in their simplicity, always receptive to the wonder of having people playing in their street , where the joys are counted and elusive. Silvio's tour has served to put - sometimes literally - on the map the lives and problems of the inhabitants of almost a hundred neighborhoods. It often happens that, after a concert by Silvio, the authorities are more attentive to the problems of the site. A visit from Silvio is not going to change the root of the discomforts of a community, but it may be the (only) push he will receive to relieve them for a long time. Nothing more because of the fact that thousands of Cubans are beginning to be aware that they have a lot of compatriots living there, in the most difficult conditions that anyone could imagine. 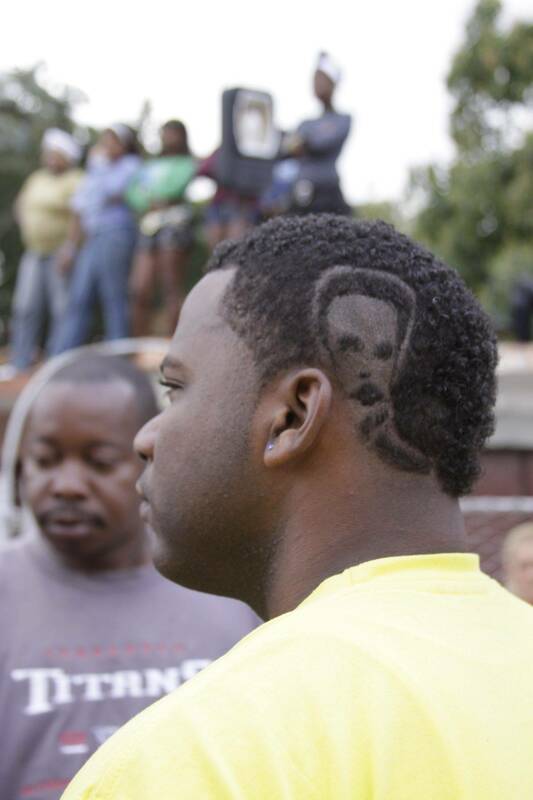 The concerts leave a mark, in the neighborhood, in the people. The calls, the emails, the messages that Silvio and his team come up with tell him. At one time they thought they were without neighborhoods, but another place always appears; they still have all that great universe outside of Havana - they have barely made 13 concerts in other provinces. Even when they have walked through all the neighborhoods, they can always start over. The problems that motivated the tour are still there, unfortunately intact. 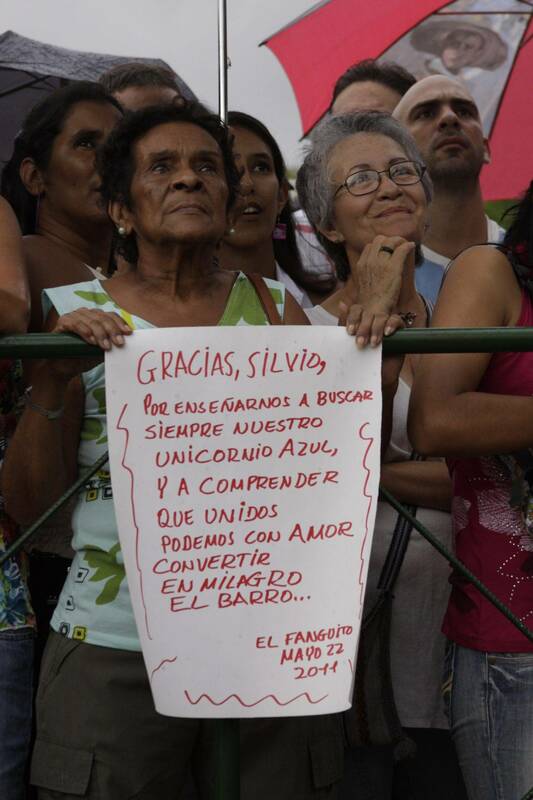 And we must continue, Silvio knows, sowing love. Next Story Next post: The Micha: "The children who leave and return are not bad; and I'm back "